It's been a few month since PlayStation 4's troubled 2.0 update, and while Sony hasn't made any announcements about what's coming, players have started getting invitations to beta test the next update. It looks like the PS4 is getting some cool new features, including system-level button remapping and a proper suspend mode. UPDATE (6:30 pm): Someone who was invited to the beta passed along their letter, which reveals a little more about what's actually happening. Images are floating around on NeoGAF and other places depicting the unfinished firmware. The reason there hasn't been more information released is because users are apparently under NDA. I can't imagine where I'd want to modify a button, but this seems useful for shooter diehards! More important is the machine's long-awaited suspend/rest mode. Sony has promised this for a while! I'm not exaggerating, either—Sony announced this concept during the PS4's initial reveal. I contacted Sony about the firmware update, and while they were noncommittal, the company didn't explicitly deny anything, either. 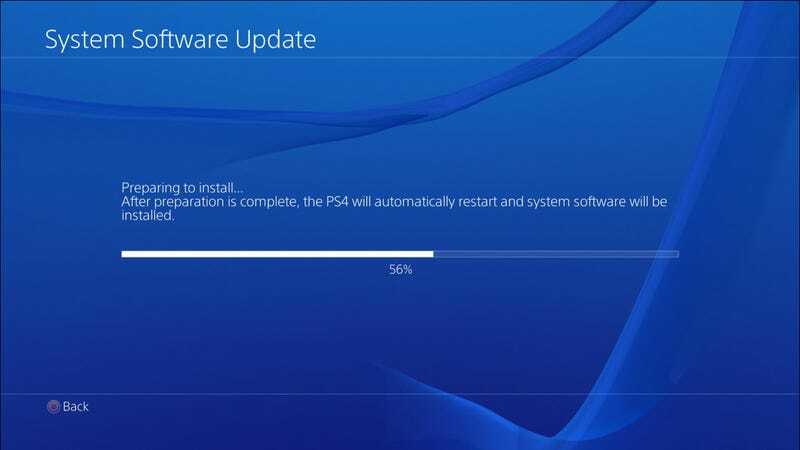 "The next PS4 system software update will be released soon, and its features are currently being processed for quality assurance," said a company spokesperson. "We will have more information on the update to share shortly." "Soon" could mean many things, but hopefully we're not waiting long. If you've been given access to the beta, please drop me a line and let me know what your experience has been like!